Being a teenager isn’t always easy. Having acne can make things worse. 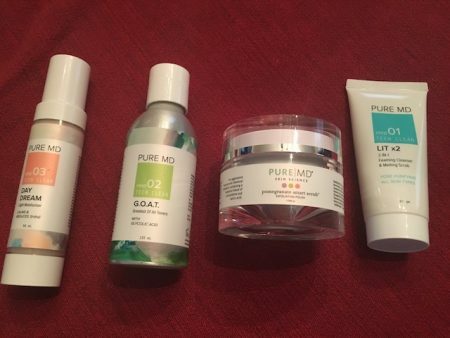 But thanks to Pure MD’s skincare expert and founder, Amanda Gorecki, there’s a new line for teens using only three simple products. The TEEN CLEAN line is not only easy to use, but it’s ultra-effective, which is the most important factor. With just one foaming wash, toner, and day cream, my skin felt as though I had just enjoyed a professional facial. I was amazed how one wash could render my face so clean and soft — not to mention that these products smell amazing, too. If you’ve had a long day, indulge with these fabulous products to revitalize and refresh. Step 1- Lit x2. This product works both as a foaming cleanser and a melting scrub, detoxifying the skin. Vanilla and citrus work together to re-energize while botanical extracts fight against damage caused by environmental pollution and debris. Pulling double duty, the cleanser also can also be used on the body. Step 2- G.O.A.T. A high-performing toner which is a combination of lime and mint refreshes and awakens the skin. Working especially well for oily and problem skin, it exfoliates and conditions spectacularly. Step 3- Daydream. A light, non-greasy moisturizer that soothes and clarifies the skin. Shine is reduced, and the outcome is an improved calm complexion. 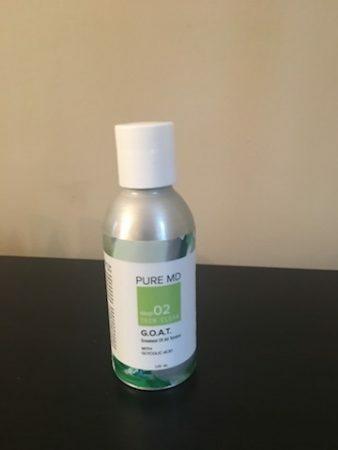 Also ‘for as long as supplies last,’ there’s a promotion on the Pure MD website. With any purchase of $150 or more, you’ll receive a Pomegranate Smart Scrub free of charge. 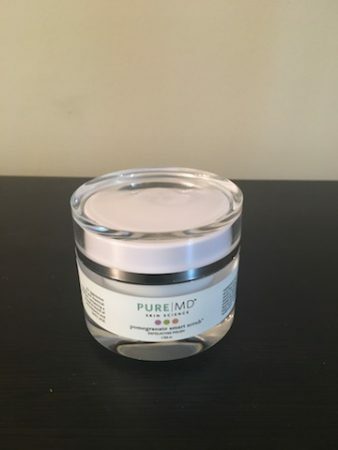 An exfoliating polish containing a powerful blend of antioxidants and lactic acid. The pomegranate plant works to reduce fine lines leaving a soft and glowing complexion. 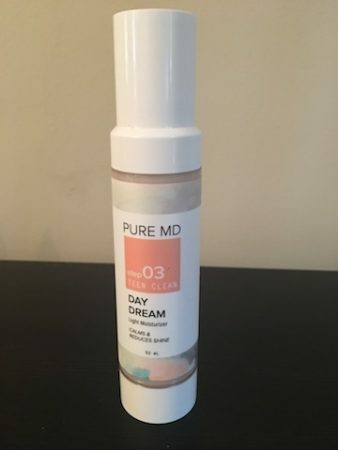 Pure MD not only creates amazing products that work, but the company strives to make a commitment to helping women achieve a sense of health, beauty and wellness. 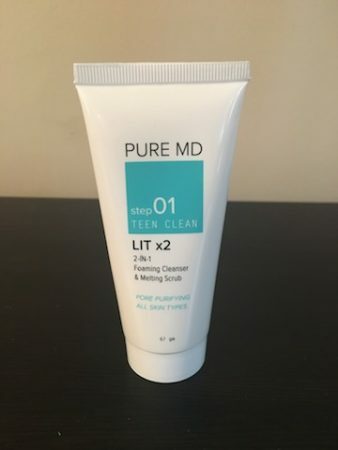 Find the new TEEN CLEAN line at http://www.puremd.com/.